Client wanted to send a Valentines Day card to lapsed donors - a warm message of appreciation that conveyed the need for their support once again. What made it unique was that the copy had to be in the form of a poem. It was challenging due to the very small amount of copy allowed, and that it also had to be poetry. 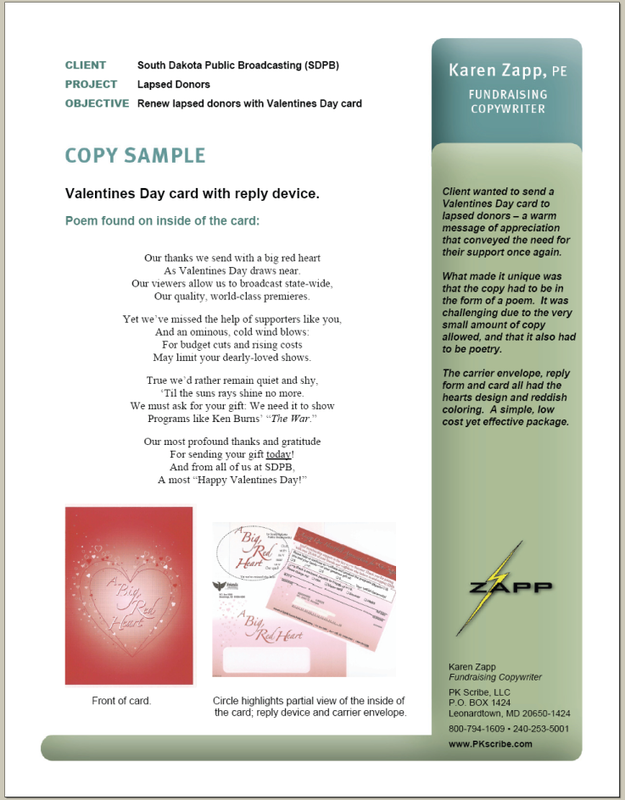 The carrier envelope, reply form and card all had the hearts design and reddish coloring. A simple, low cost yet effective package.